The Gear S2 and the new Gear S3 Frontier and Classic are smartwatches that provide functionality not found elsewhere (the rotating bezel, for example) along with style that doesn't exist elsewhere. The Gear S3 is proudly masculine, but users do get bored with a few pre-installed watch faces after a while. Changing a watchface can breathe new life into a smartwatch, and users want to use watchfaces to express themselves. An ESPN watchface is a good start, but not nearly enough to keep the non-sport crowd interested. Facer is a platform that provides free and paid customized watchfaces for users. 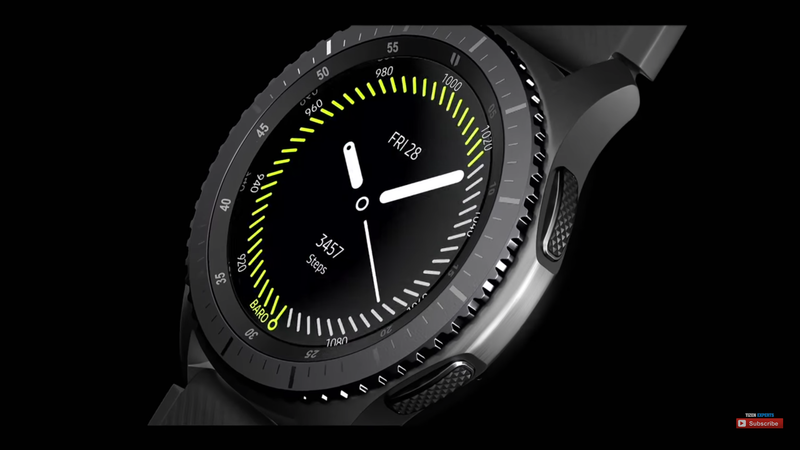 Facer has had support for the Gear Live for some time now as well as all Android Wear smartwatches but had yet to add it to two of the most popular smartwatches on the market from Korean giant Samsung. Well, that all changes this week, as Facer has now added Gear S2 and Gear S3 support for its watch face customizations. Facer version 3.0.1 allows Gear S2 and Gear S3 users the ability to create custom watch faces with the Facer creator tool, though you'll need to download and install the Facer Companion app titled "Facer Companion for Gear S2 & S3" from Samsung's Galaxy Apps Store first. You can head over to the Google Play Store and grab the Facer 3.0.1 update. For those of you who've already tried Facer, what do you think? Have you been using Facer on the Gear Live (if you've owned one previously)? Purchased a new Gear S3 recently? Let us know if you've downloaded Facer and what watchface from Facer you've placed on your Gear smartwatch. If you're using it for the first time, let us know your first impressions.